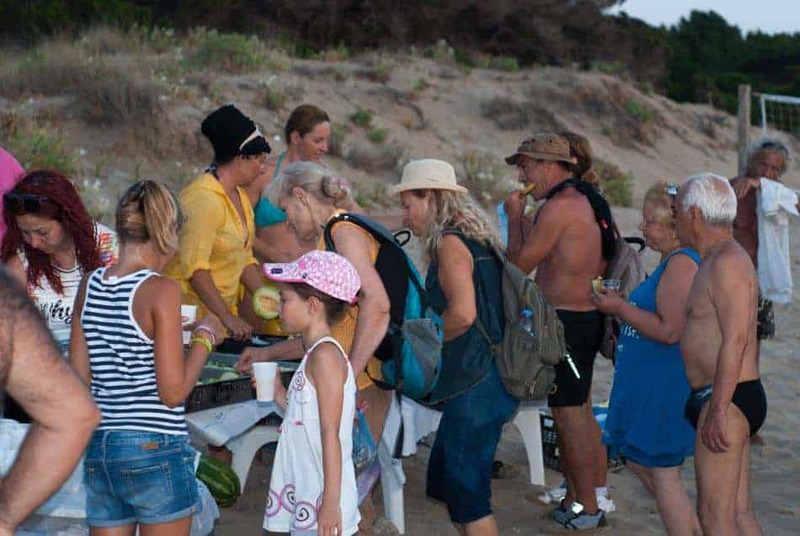 Kastro’s beach is the ideal destination for those who love hiking. The coastal path is beautiful with lots of different views of pebbles, rocks, sand, forest and for the most part there is sea daffodil that offers a wonderful smell to the hikers during July, August and September! Participation is free and those who take part in the 4-5-hour hike must be healthy, fit, bring a backpack, sneakers with hard soles, thick socks, a second pair of shoes and socks, two liters of water, raisins, figs, windbreaker jacket, hiking pole, light clothing, swimsuit and definitely a flashlight. 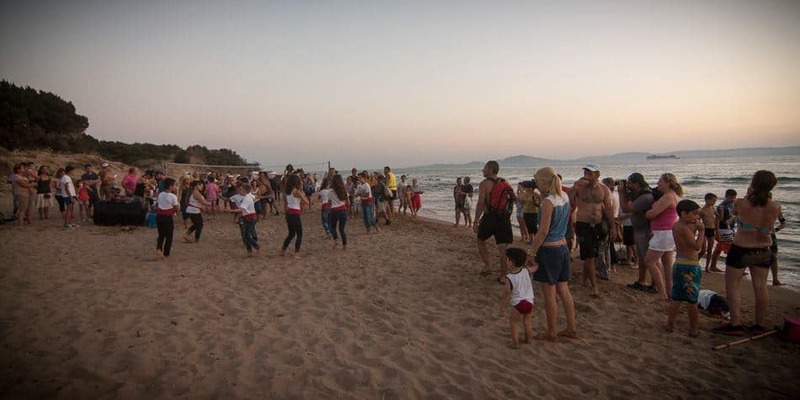 Hikers ca enjoy the most beautiful sunset overlooking the Ionian Sea, Zakynthos, Kefalonia, and for over two hours the hike takes place under the full moon. There is a break at Petrelaia for approximately 45 minutes, for hikers to enjoy the sunset. 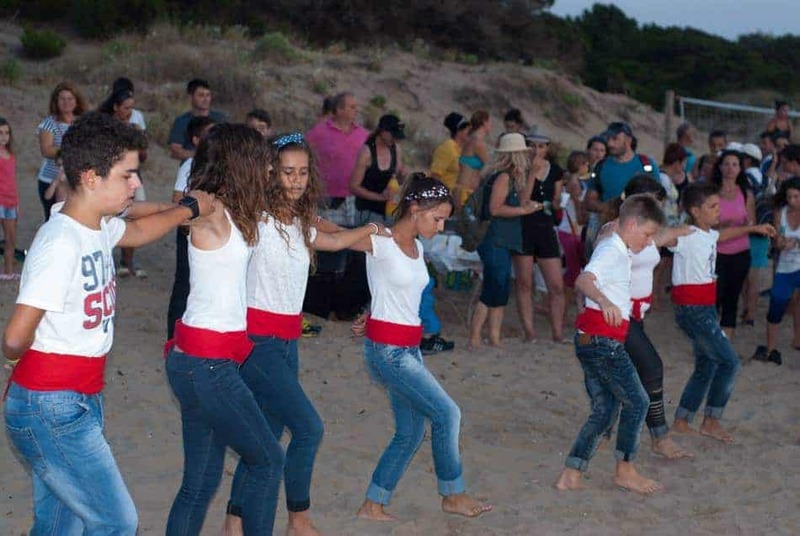 At that point members of the local authority and the voluntary group of Kastro welcome the hikers, with dances by the dance club pf Kastro. 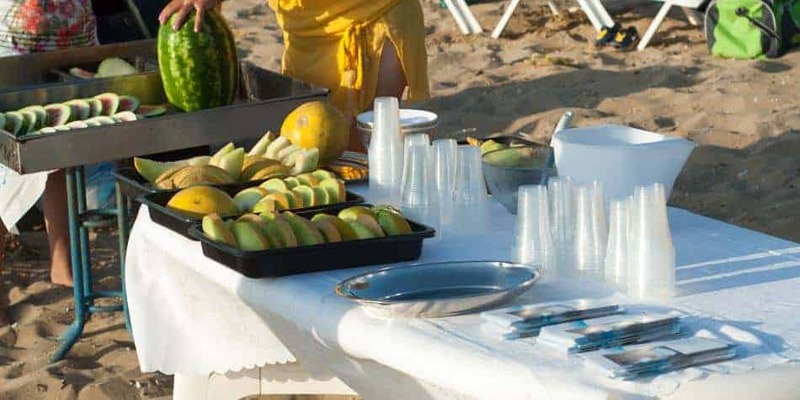 During the hike, the hikers are welcomed and treated by the general manager of the hotel complex Robinson Kyllini Beach, and before the end of the route, the hikers are also welcomed and treated by the general manager of GRECOTEL OLYMPIA RESORT. Ending at Arkoudi, the Municipality of Pinios and Lygia offer treats by the “Kalomiri” Cheese Products Company. The next day, members of the “Eptalofos” Club will be at the Killini Thermal Baths (Mud baths from 12.30 am to 13.30 pm) and will inform about the use of the thermal mud.